Single Sign-On (SSO) is a technology that allows you to maintain a centralized Identity Provider server. Аll other tools communicate with it to authenticate and authorize users as they log in to certain platforms. 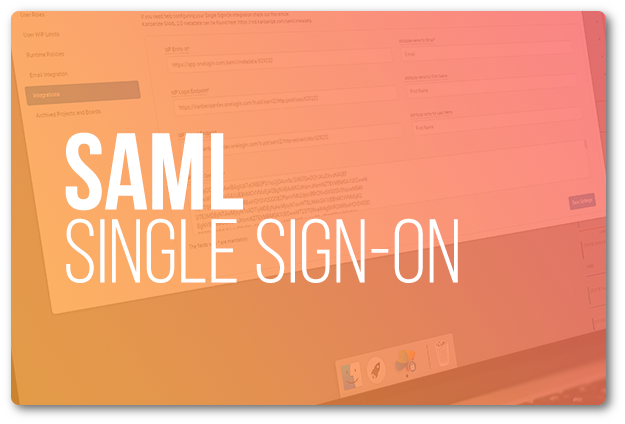 SAML (Security Assertion Markup Language) is the most wide-spread SSO standard in the enterprise world. This is why the new Kanbanize product update 5.7 provides users with the ability to integrate with their company’s SAML 2.0 Identity Provider and add further security to their account when logging in to the Kanbanize platform. Thanks to our community of active Kanbanize users and the dedicated efforts of our powerhouse RnD team, we are bringing the ability to archive entire projects and boards in Kanbanize live to our user base. 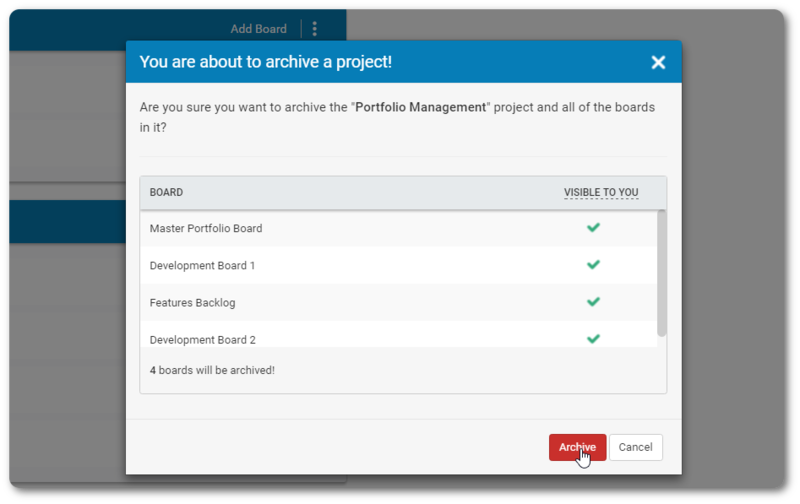 To take advantage of this addition and apply it to old boards and projects you might no longer be using in your account, go to your Main Dashboard and select a project or board that might be clogging up your account in order to archive it for future reference when you need it. Click on the project or board’s options menu and choose to archive it from the pop-up. Confirm your selection in order to avoid archiving projects and boards that are still in use. After a project is archived, you will be able to access it at any time from the administration panel of your account. A new section has been added for this purpose. There, you can see every project that has been archived from your account. The information displayed will contain the project name, board name, the person who archived it and the date the archiving occurred. To locate a specific project faster, you can use the special filter at the top of the window. *Archived projects can be restored at any time by selecting the dedicated button at the right side of each project. Jumpstart your future projects with the new onboarding setups in Kanbanize. They will help you choose the most suitable workflow type for your use case and set up the appropriate board structure for optimal results in your context. To take advantage of this feature, go to the main dashboard of your account and select the additions button at the bottom right corner of your screen. Choose to add a project and give it a name. Load a project template of a Kanban board with traditional structure or a breakdown structure, depending on your project requirements. 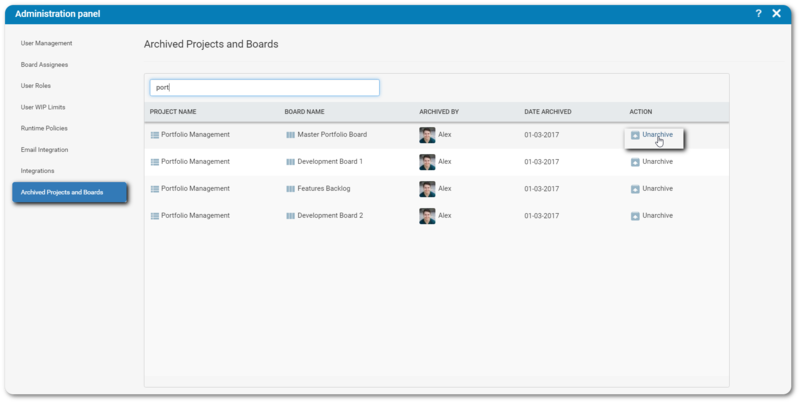 For example, selecting the work breakdown template will guide you through the process of creating a Master Board for tracking the progress of larger campaigns, features and initiatives of your project as a whole and one initial team board where the larger assignments are to be broken down into smaller child cards. The smaller-sized cards in the team boards will be linked to the larger portfolio cards on the master board. The setup will explain how to automate the movement of cards on the Master Board as a result of triggers from the cards hosted on the team board/s. In addition, the system will automatically create a process efficiency widget on the Main Dashboard that will help you measure how the teams working on the associated boards are performing. Connect Kanbanize to more than 700 web apps with the help of Zapier. 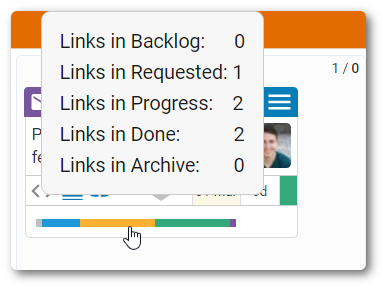 The integration between Kanbanize and Zapier allows you to automate your workflow even further by triggering actions on your Kanban boards based on activity in your other web apps. You can set up a connection between Kanbanize and any of the apps available in Zapier with just a few clicks. The integration is still in Beta so in order to take advantage of it, at first, you’ll need to use the invitation link. 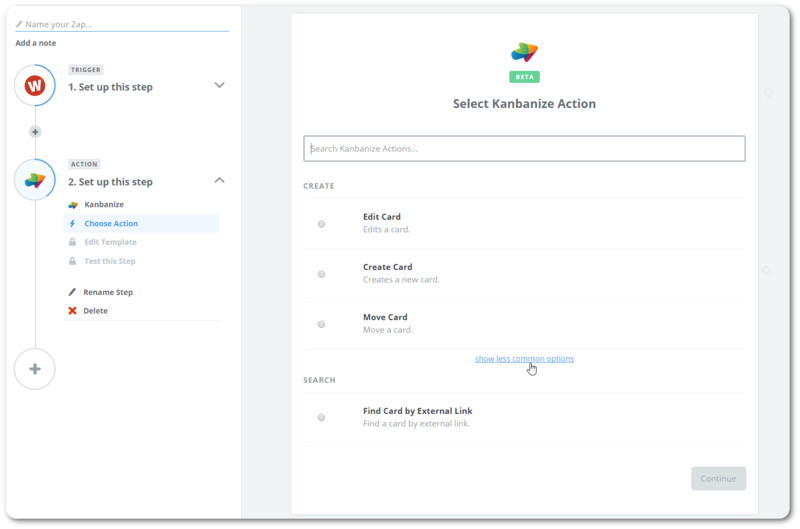 The groundwork for an integration between Kanbanize and Connectwise has been set and we are making it available to users of Kanbanize so they can begin automating interactions between the two platforms. This is applicable in multiple ways, such as triggering the automatic creation of cards in Kanbanize by placing a new ticket in Connectwise and updating a ticket in Connectwise when a Kanbanize card is moved to a certain column and more. If you are interested in testing the integration, please contact our support team. Version 5.7 brings two additions to our in-app walkthrough tutorials. They aim to help new users get started with Kanbanize in a speedy and thorough way. The new tutorials will walk you through the process of creating card types and templates. To begin your journey towards Kanbanize mastery, enter your account menu and navigate towards the tutorials section. All the available walkthroughs are waiting for you at the click of a button. 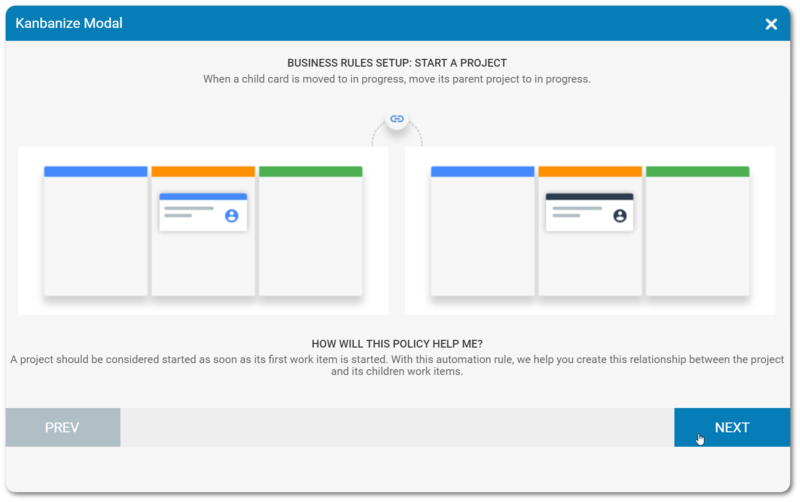 After introducing the card icon links view in February, this month, we bring you an improvement that will further enhance your Kanbanize portfolio experience. Now, when you hover over the links icon on any of your cards, a popup window will appear. Inside, you will see the section that hosts each of the cards connected to the parent you are inspecting. 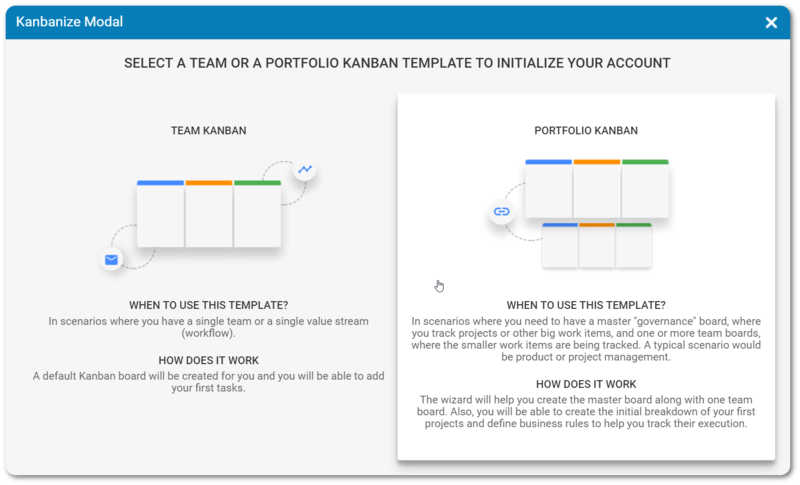 We hope that these enhancements and new additions will make your day-to-day work in Kanbanize as well as your strategic planning in the platform a smooth and fruitful process.